We are just four days away from the official announcement of Samsung's Next flagship phone that is Samsung Galaxy S9, so here are some of the rumors of the device. Samsung will launch it's new flagship on 25th February at MWC 2018. Firstly there will be two versions of the phone just like S8 and S8+ that are Samsung Galaxy S9 and Samsung Galaxy S9+. 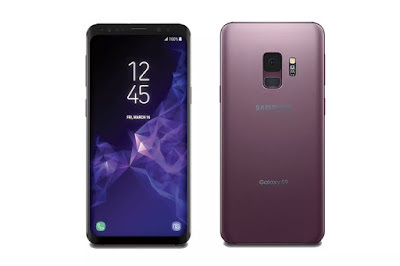 The S9+ will be bigger in size as evident for it's name. Both the phones will be having super AMOLED displays which will have 2K resolution. Both will be having the same infinity display just like Samsung S8 and S8+. Samsung Galaxy S9 will have the screen size of 5.8" while that of S9+ will have 6.2". 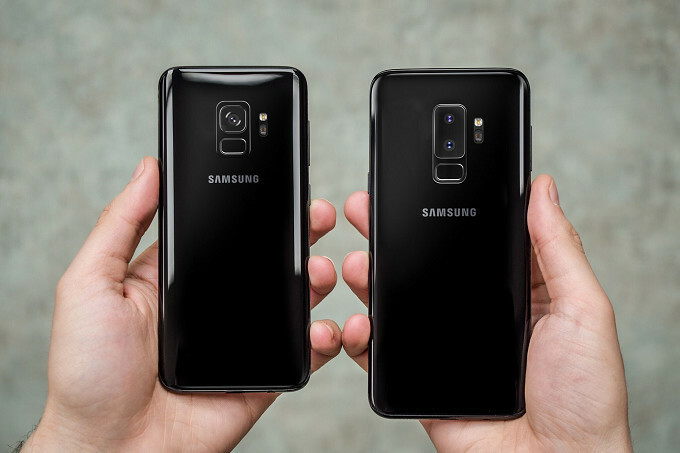 Both the phones will be having the same glass and metal design as that of S8 but this time the camera and fingerprint sensor will be in the vertical position by making the fingerprint sensor easier to reach unlike S8 and S8+ which have fingerprint scanner at awkward position. Samsung Galaxy S9 and S9+ will be powered by Qualcomm's Snapdragon 845 chipset which is the new powerful chip from Qualcomm this year. This model will only be available in US while the global version will be powered by Exynos 9810 chipset which is Samsung's self built chip for it's flagship phone this year. Both these chips are based on octa core processors but cores of Exynos chip are cloaked at 2.9 GHz each while that of Snapdragon's one are cloaked at 2.6GHz each. Samsung Galaxy S9 will be having a single rear camera setup with a 12MP sensor. But we can vary the aperture of this camera from f/1.5 to f/2.4. So this will be the first phone to have a variable aperture in the camera. This will actually help in capturing good photos in different lightening conditions. Samsung Galaxy S9+ will have dual camera setup with one sensor same as S9 while other sensor is a 12MP shooter with f/2.4 aperture. Samsung Galaxy S9 will be having 4GB of RAM and 64GB of storage while S9+ will have 6GB of RAM and 64GB of RAM. Also there will be SD card slot along with the cloud storage of 400GB. Samsung Galaxy S9 will have 3000mah battery and Samsung Galaxy S9+ will have 3500mah battery. The power consumption will also reduce due to power efficient chips. And lastly these are just rumors which can be true as well as false. But all things will be clear on 25th February at Samsung's MWC event. And one thing more, prices of these new flagship phones from Samsung will also be higher than the previous one.